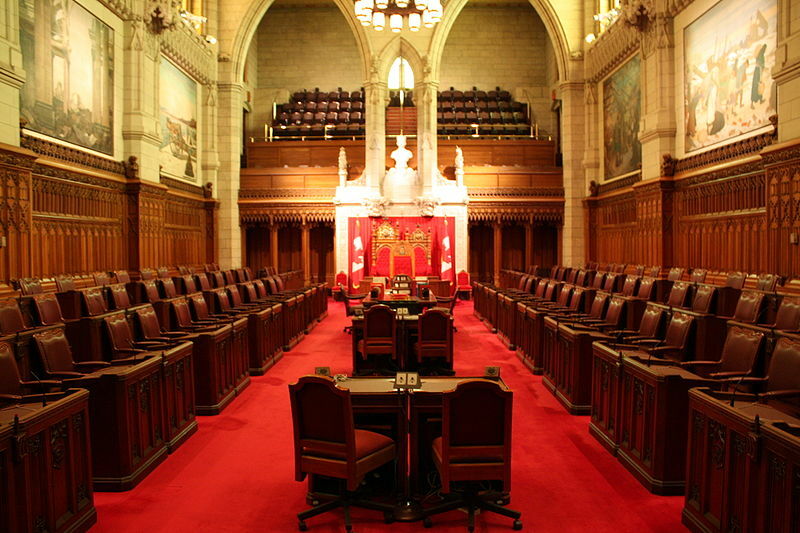 What to do with the Senate of Canada? I should email this to all the former Liberal Senators but they are still Senators and they are still members of the Liberal party so whats actually changed? From The Fed the party’s wiki. The current patronage Senate is to be abolished. The Parliament of Canada in law will establish two advisory bodies to replace it. The Federal senate will replace the current Senate in its capacity of representation by province. The Federal senate will be what is called the triple E Senate namely equal, elected, and effective. The Crown senate will replace the current Senate in its capacity as a chamber of sober second thought. The Crown senate will be non-partisan and not made by patronage appointment. The cost of running the current Senate will go to the advisory councils with each getting 50% of the funds. The salaries of the current senators will likewise go to the members of the advisory councils with each Council getting 50% to be paid equally to each member of that Council. It is the national policy of the Federalist Party that a Federalist government shall introduce into Parliament the following. The Crown senate will advise the Governor General on Royal assent. The Governor General on the advice of the Crown senate can send a bill back to the House of Commons with or without recommendation. This is done by a majority vote of the Crown senate. If the House of Commons passes the bill a second time the Governor General on the advice of the Crown senate can send the bill back to the House of Commons with objections. This is done by a two-thirds majority vote of the Crown senate. If the House of Commons passes the bill a third time the Governor General shall give it Royal assent. The Crown senate can only delay legislation for a limited period of time. It can recommend and object but cannot defeat legislation passed by the elected chambers of Parliament. All crown senators cannot be members, donate, or participate in the activities of any political party. The Crown senate will have 72 members. Half will be split among the provinces equally with the other half being distributed on the basis of population. Each province will get 3 seats, the three northern territories will get one Senator each, and three seats will be reserved for native Canadians for a total of 36 seats. Population distributes the other 36 seats. The 72 seats are allotted as follows British Columbia 8 seats, Alberta 7, Saskatchewan 4, Manitoba 4, Ontario 16, Québec 12, New Brunswick 4, Nova Scotia 4, Newfoundland 4, Prince Edward Island 3, the northern territories 3, and native Canadians 3. The electors for the Crown Senate are the top two candidates in each riding for the House of Commons. This gives you 616 electors. The membership of the current electors is 38% conservative, 36% NDP, 18% liberal, 7% Bloc, and 1% all others. When a seat goes vacant in a province than any elector from that province may nominate a candidate for that seat. When a seat goes vacant in the northern territories then any elector from any territory may nominate a candidate for that seat. When a seat goes vacant for native Canadians any elector may nominate a candidate. The electors by secret ballot vote yes or no for each candidate with the candidate with the most votes being elected. It shall take a two-thirds majority vote to elect a member of the Crown senate. They shall have a term of 24 years with 3 seats going up for election each year. Crown senators may serve only one term with the exception of a vacancy where the Senator appointed serves out that term and may be appointed to a full term. If there is a Federal senate then by secret ballot the Federal senate in regular session that is one vote per Senator shall confirm by a two-thirds majority vote. These two advisory councils are Try it before You buy it. You see how they would actually work as a part of Parliament before making a decision to amend the constitution of Canada. I would have a vote by Canadians in the 43rd federal election that being around 2019 on whether to have a Crown senate and in the 44th federal election around 2023 on whether to have a Federal senate. Vote The Founder authorized this national policy resolution with no votes in the National assembly, Congress, and Federal council. This binding policy resolution shall apply only for the 41st Parliament.